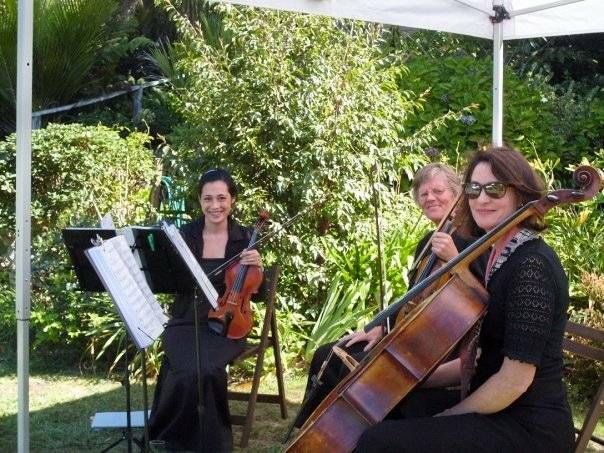 The Nikau String Quartet is an Auckland string quartet for hire with a passion for playing great music. From classics by Bach, to classy jazz; their versatility in setting a mood is sure to impress. They have been performing at weddings and functions since 2004 and are committed to being reliable and affordable. - No need for fancy sound equipment, the acoustic sounds of the 4 instruments are usually sufficient for a small to medium sized gathering. - They play music that melds beautifully into the background but also has enough complexity should you want to sit and listen. - String instruments are beautiful to look at as well as listen to! 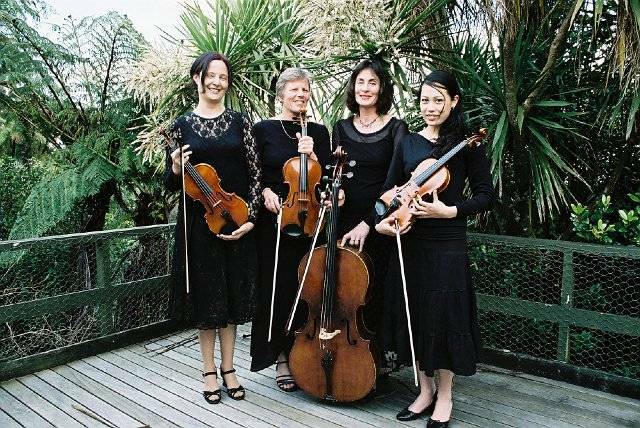 The members of the Auckland string quartet the Nikau Quartet are all classically trained and are all professional musicians. 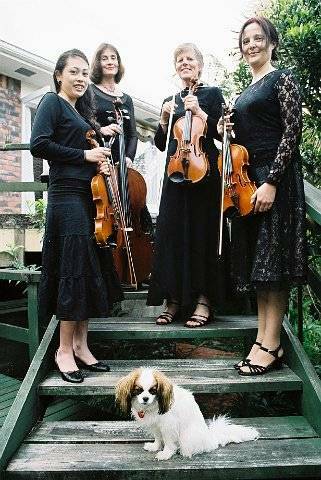 Outside of work with the string quartet you might catch the musicians on stage with an orchestra (including the Auckland Philharmonic, the Waitakere City Orchestra, the Auckland Chamber Orchestra and Hamiltons Opus Orchestra). Ask about options for a trio or duo if a more cost effective option is required. I just wanted to send through the amazing feedback I received about the Nikau Trio. It was a pleasure to have you play at the Next Woman of the Year awards last week and you set the mood for the evening perfectly. The members of the trio were so lovely and accommodating to work with, and the music was beautiful. When the occasion arises, I am sure I will be calling on you again. Thank you so much for playing so beautifully at our wedding. We were so happy with having you there! Thank you also for arranging to play Lijosio and Such Great Heights for us. Both these songs have special significance for us so it meant so much that you took the time to play them for us, and played them so beautifully! Thank you for going the extra mile to do this. We really do appreciate it! The Nikau Duo did a wonderful job. We were very happy with their seamless performance. We very much appreciate that they showed up at the right time and no stress was caused. We would highly recommend.